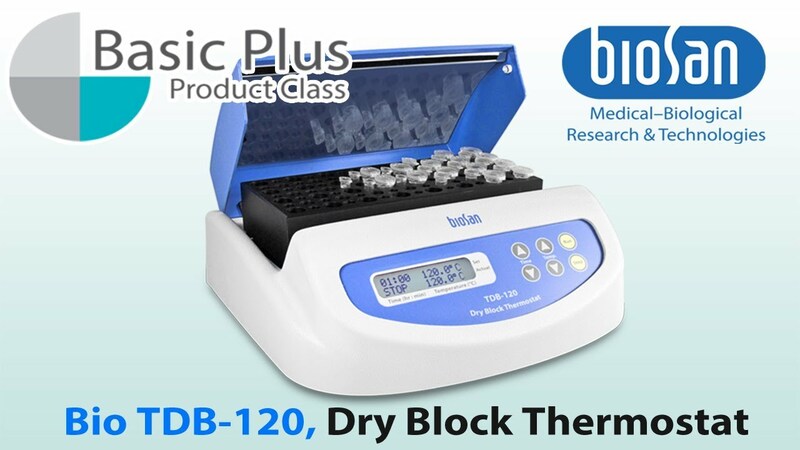 TDB-120 is a traditional Biosan’s dry block thermostat for laboratory analysis. Thermostat is designed for maintaining constant temperature of samples in tubes inserted in the aluminium block sockets. Unprecedented high precision and uniformity of temperature over the block. TDB-120 is widely used for PCR–analysis. Microprocessor controlled temperature and time. Simultaneous indication of set and actual temperature and time. Can a user change one block to another on his own?